COLUMBIA, Mo. ­— University of Missouri officials announced today that the university will be open Monday, March 3, for all regularly scheduled operations. Crews from campus facilities have been out since late Saturday night working to make sure roads and sidewalks on the campus are clear. Currently, roads and sidewalks have been plowed, but slick spots remain. Everyone is encouraged to take proper precautions, including using appropriate winter footwear. Anyone noticing an area on campus that needs attention is encouraged to contact Campus Facilities Customer Service at 573-882-8211 or http://www.cf.missouri.edu:9080/index.html. Individuals should continue checking http://MUAlert.missouri.edu for any updates. 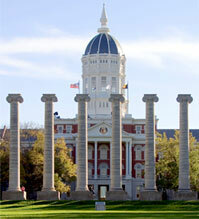 If any changes are made to MU’s operations, media will be alerted no later than 6 a.m., Monday, March 3.